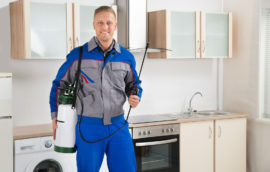 Pest Exterminators not only offer 24 hour pest control London for commercial pest control and residential properties, we also carry out one-off treatments, as well as offer maintenance contracts for those with an ongoing issue. All of our services and pest control London contracts are carried out in an efficient, timely fashion in order to provide you with the best possible results. We focus on precision and aim to provide support in all areas, including prior to and following pest control treatments. Information regarding our services is made available on our website, but if you have any specific queries or need a bit more of an insight into what we do and what we can offer, please do not hesitate to get in touch. We are happy to provide pest control information and advice. Here at Pest Exterminators Pest Control in London, we are always willing to go the extra mile for our customers. Our friendly support team and pest control specialists in London will go above and beyond to help you throughout the process. 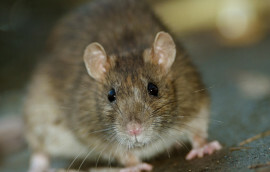 Rat Control Mouse Control Bed Bug Control Cockroach Control Flea Control Fox Control Pigeon Control Moth Control Ant Control Squirrel Control Wasp Control As well as London pest control services, we provide 24 hr pest control services and pest control contracts in Essex, Surrey, Kent, Middlesex, Watford and Enfield. Taking care of your home includes keeping your plumbing in good condition, repainting your bedroom after ten years, and keeping up to date with your security systems. Did you know that keeping up to date with your pest control is also essential for your safety as well as your home’s protection? Here are some ways to look into hiring the right London pest control company for your home. Firstly, make sure you find a company that offers full services in pest control including pest control contracts. This means that you have to find a company specialising in all the pests that are most often found in the home. Different pests are more abundant in some areas than others. If in doubt, get a pest control company that covers all kinds of pests, mice , rats , cockroaches , fleas , bed bugs Etc, those are the best ones to look for. Thirdly, you have to make sure that you find a pest control company that offers emergency pest control London. Those times can occur when you suddenly realise there’s a hornet’s nest in your attic, or a rat infestation in your kitchen…these things happen, and frankly need to be dealt with immediately. So, the best pest control London company is the one that is in place to help you in those panicky moments in the middle of the night when you need a reassuring voice, knowing that they are on their way to help you out with your stressful discovery. Remember that the best London pest control services are the ones that are going to give you peace of mind from start of your day to the end of it. Pick the company that is going to make you feel like you really are protected from pests. The professional pest control London company is here to take care of your needs, so that you can enjoy your home and keep it safe from harm at all times. 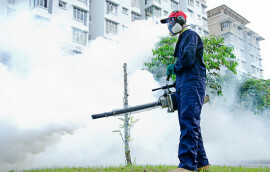 An expert provider of local pest control London services, with fast, 24 hour emergency response.